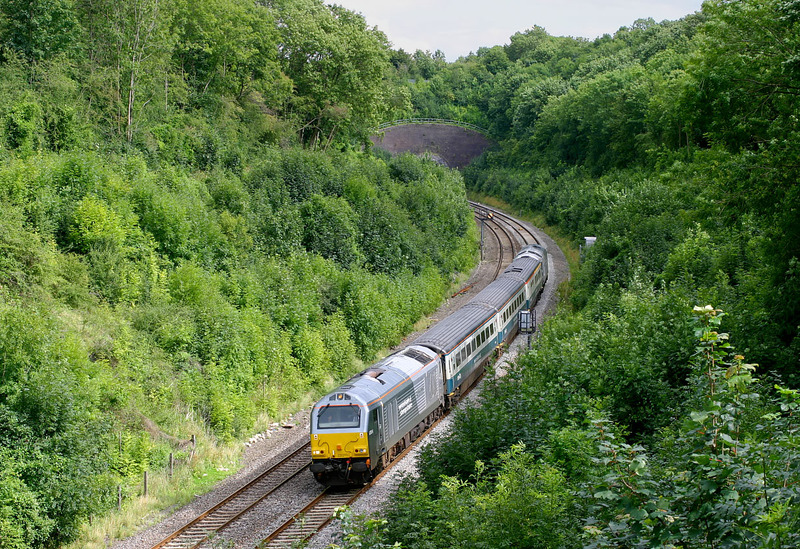 The once photographically excellent location of Harbury cutting is now virtually useless with only a half decent picture just about possible for down trains. 67014 Thomas Telford leads the 1J82 13:17 Marylebone to Wrexham service on 22 August 2008, with fellow Wrexham & Shropshire Railways liveried classmate 67013 on the rear of the train. Luckily this train came in a patch of half sun, just bright enough to create some shadows but not too contrasty in this deep tree line cutting.